Ever been at Sheraton Hotel? Write a review!!! Sheraton Hotel Lagos, a 5-star hotel in Lagos and one of the globally respected Sheraton Hotels. 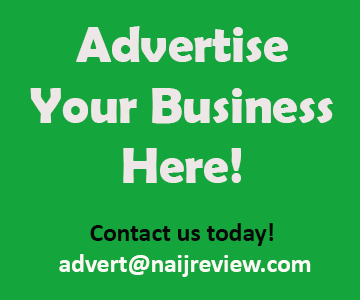 This hotel in Lagos is located at 30 Mobolaji Bank Anthony Way, Airport Road, Ikeja GRA, Lagos. It is easily accessible from the local and international airports. Sheraton Lagos Hotel boasts of 325 guest rooms and 7 suites that are furnished with luxurious hotel facilities which provide superior comfort. Free WiFi is also provided for guests. 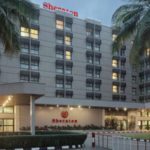 Sheraton Lagos Hotel features rooms with full air conditioning, flat screen TVs with satellite connection, ornate lampshades, work desks and en-suite bathroom. Guests at Sheraton Lagos Hotel Ikeja can enjoy Buffet of Italian dishes, home-made pizzas and wines at the La Giara Italian restaurant on-site. The Oasis Pool Terrace Bar is also available for guests to relax and enjoy refreshing drinks. Crockpot offers some of the best Sunday brunch buffet at Sheraton Lagos Hotel Ikeja. Sheraton Hotel features a swimming pool, a gym, Lawn Tennis and Squash.